The TurboSMS Sender extension integrates the TurboSMS service and Zoho CRM modules. The Extension works with standard Zoho CRM modules: Contacts and Leads. 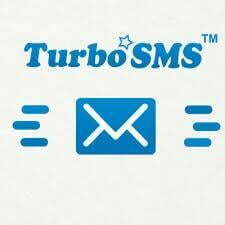 The TurboSMS Sender extension sends SMS messages on the mobile phone of the Lead or Contact. Module Activities can be used for sending SMS to a Lead or a Contact. Module Campaigns can be used for sending multiple SMS messages. 3. Set up TurboSMS settings. 1. Fill out your settings and details of your Turbo SMS account and Save. Now you are ready to send the message. 4. In the Subject of the Task, you should add the text of your message. 7. Set Status "In Progress"
Waiting for processing - Message has not been processed yet. Sent to service - Message sent to TurboSMS service (temporary). Waiting to send - Message is queued for sending (temporary). Sent (obtaining a result) - Message sent, but the result is unknown yet (temporary). Service error - Request was not sent to TurboSMS(for example invalid login data for SMS gateway, API request error, etc.) (final). Successfully sent - Message delivered to the client (final). Failed to send - Message sent, but an error occurred (for example: rejected by the operator, sending the message was revoked by user or administrator, etc.) (final). Error checking message status - When checking the status of the message, an error occurred (for example invalid login data for SMS gateway, API request error, etc.) (final). Insufficient funds - There are not enough credits on your balance to send messages (check balance in the main menu) (final). 3. Create a new Campaign. 4. In the Campaign Name field, you should add the text of your SMS message. 5. Select Turbo SMS Sender. 7. Open saved Campaign, select Leads/Contacts from the list. 8. Add Leads or/and Contacts to the Campaign. 9. Click on Edit button. 10. Set the status of the Campaign as Active. 11. You can send the messages now or indicate the date and time in field TurboSMS Sender start time. Generally, the status updates will happen within 2 - 10 minutes. Extension doesn't work in Internet Explorer.